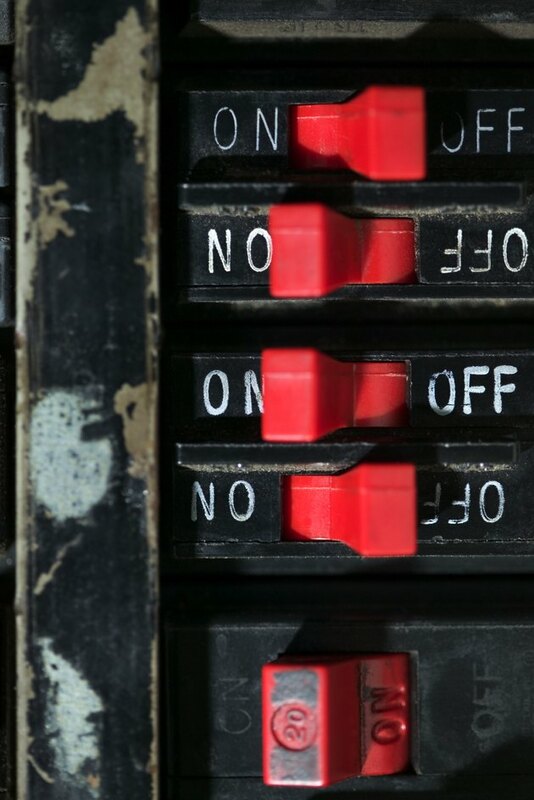 Why Does a Circuit Breaker Keep Tripping on an Electric Furnace? An electrical furnace that constantly trips a circuit breaker could either be easily fixed or lead to unit damage or an electrical fire. All electrical problems involving repeated tripping of the breaker should be corrected instead of just resetting the breaker each time. Before contacting a technician, there are a few things you can check. The furnace circuit breaker should support the furnace power load. If the furnace circuit breaker can't satisfy the electrical needs of the furnace, or if the breaker isn't suited to handle the electricity that passes through it, the breaker will trip. The breaker could be reset, allowing electricity to flow for a little while to the furnace unit, but the breaker will eventually trip again. The power source needs to be shut off, and the breaker needs to be replaced with one that can handle a larger electrical load with the help of a qualified technician. Wire damage prevents power from flowing to the furnace as the power lines are severed. Wire damage can occur at any point in the power lines, from the connection to the circuit breaker to the connection at the unit. Inspect the entire length of the power lines for damage, such as dents, frays, cuts or rips. If any bare wire is exposed, the wire should be replaced. You can turn the breaker off to stop the flow of electricity to the unit and call a technician to replace the lines. Improper wiring at the unit or circuit breaker terminals causes the system to malfunction and perform incorrectly. The usual symptoms of improper wiring include a furnace that can't turn on and even a furnace that can't turn off. If you suspect that the wiring is incorrect for your furnace, you can shut the power off at the breaker before inspecting the terminals or contacting a technician. A problem as simple as two hot wires touching each other will cause the circuit breaker to trip repeatedly until the two wires are separated. Hot wires should never touch. If a hot wire touches a neutral wire, this also will cause the breaker to fail. All electrical problems come with a certain amount of danger, but, unlike the other predicaments, a short circuit is a little more serious and can cause an unsafe situation. If you see any exposed wires where the unit plugs into the power source, this could be the problem. Turn off the circuit breaker, unhook the unit and contact a technician. Why Are My House Lights Flickering?